With dwindling resources for local news organizations, it’s getting harder for journalists to do what they do best: hold people in positions of power accountable to the public. With new investments from Knight Foundation, ProPublica is expanding its Local Reporting Network, which pays the salary and benefits of a full-time reporter for 12 months to work on an investigative project. Now in its second year, the Local Reporting Network is accepting applications, due April 26, to join the next round of grant-supported newsrooms. Charles Ornstein, deputy managing editor for ProPublica and director of the Local Reporting Network, joined the Colorado Media Project on April 10 in a webinar for journalists to explain what makes a successful application for the Local Reporting Network. Here are some takeaways from the conversation. An audio recording of the webinar is also available. A good proposal answers three questions: (1) What’s wrong? (2) Who or what is responsible? (3) What needs to be changed? Rather than explore or explain a problem, ProPublica is looking for investigative projects that demonstrates something that’s wrong in local community, and why it’s urgent to explore and address it now. This requires some pre-reporting and knowledge of the subject area, with ideas for fruitful ways to investigate. ProPublica will be looking for supporting evidence, such as anecdotes, examples, a hint of data – this will help an application stand out. Make sure proposal addresses a local problem. ProPublica’s Local Reporting Network will not fund proposals that seek to explain a broad phenomenon. A broad explanation on the problem of climate change, for example, though it could be valuable, would not receive funding through the Local Reporting Network. Stay away from explainers, and stick to issues that can be investigated. Expect intense competition. 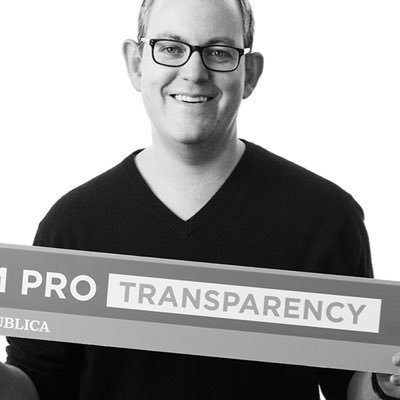 ProPublica will accept fewer than 10 percent of applications. Ornstein offered to give feedback on drafts of applications ahead of the April 26 deadline. Our thanks to Ornstein for providing Colorado journalists these insightful tips. We’ll certainly be rooting for a Colorado newsroom to join the ranks of the Local Reporting Network. A reminder: the application deadline is two weeks out, April 26 at 9:59 PM MST. Good luck!